When non-gluten free friends compliment on a GF baked good and can't tell that it's GF to begin with, that's when I know it's good. I made these over the past weekend for me and Joel to enjoy and we loved them. When I gave some to friends, I got compliments that they couldn't tell the difference between them and a non-GF muffin elsewhere. The Baron even noted they were really good days later, so they held up and kept great texture without getting dry or crumbly - something typical with many GF muffin recipes I've previously tried. 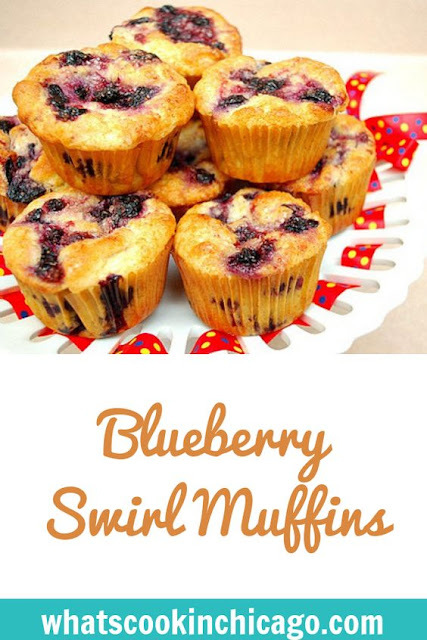 So if you have a stash of blueberries lurking in your freezer from the summer, here's another recipe to use them in. Feel free to substitute with other berries or even chopped apples for something more seasonal! Line muffin pan with liners and set aside. In a large bowl, whisk flour, baking powder and salt together in large bowl. Set aside. Spoon about 1 tsp. 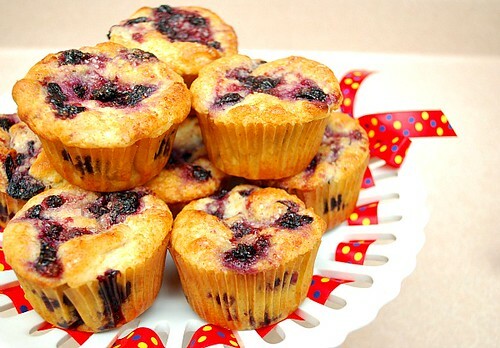 of jam onto tops of standard muffins. Swirl the jam into the muffins using a skewer or chopstick into figure eight motion. Sprinkle each muffin with turbinado sugar. Bake muffins in the preheated oven for 16-19 minutes, or until the tops are set and toothpick inserted near center returns with just a few crumbs. Cool in the pan for 5 minutes before transferring to rack to finish cooling.